After you have a child, you still have the extra ‘baby fat’, as people would like to call it. But, for me, it’s completely different. I have struggled with weight loss for a very long time. I’ve been considered ‘overweight’ ever since I was in middle school. I always got picked on and judged on how I looked that I never had any self esteem to get me motivated enough to really change. I’ve been brought down by doctors, friends, and even some family, because of my weight. I’ve never really been motivate to find some exercise or a better diet that I feel comfortable changing or trying to do. I was one of those girls that would rather play video games than go outside. High school, I grew to except it, but I wasn’t truly happy. I didn’t want to be thin like a toothpick. I wanted to lose the belly fat. The muffin top that made me feel like nothing would ever fit me because of it. I would change my clothes more than I could remember because I felt like I didn’t look good in them. Until, I met my fiance. He made me fell like no matter what size I was, I was still beautiful. He helped me see past the muffin top. After having our daughter, I still have the muffin top. I’m a stay-at-home mom, it’s been difficult to do anything because I’m usually so tired in the morning and in the afternoon. So I looked up what I could do to help me get rid of this muffin top, and keep it off, for good. 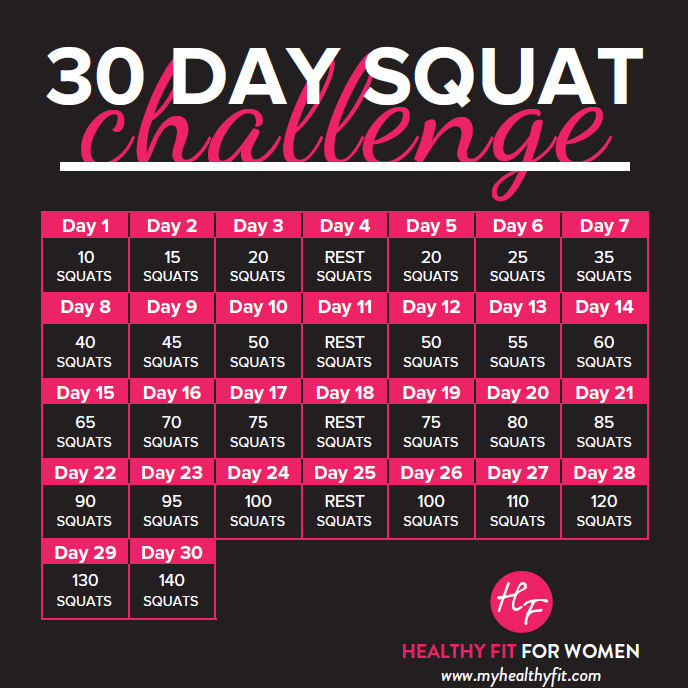 I looked up different exercises and challenges that I could try and I spotted the 30-Day Squat Challenge. I started it last Sunday, but I already notice a difference. My pants, that didn’t fit me, are slowly starting to fit me. I’m already starting to look a little smaller than I did. This is the Squat Challenge that I am doing. Just in case anyone is ready to make a change, just like I am. I’m become proud of myself and excited that I’m finally doing, what took me years, to do. I want to feel what it’s like to be able to pick out clothes that actually fit, for once. I want people to notice me and not just my body size. I want to be able to love me for me. I just started week 2 and I feel excited to do my squats every morning. I want to see if I can really finish this. I’m ready to make a change, a healthier change for not just my family, but for me. Previous Post Mom Talk: When Do You Really Feel Ready For Another Child?